I came across this article from the Atlanta Post and felt my heart stop. Good Lord. Fourth grade??? 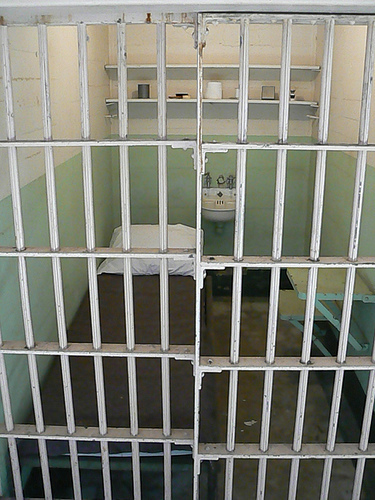 If a child can’t read at grade level in fourth grade let’s get that prison cell ready. I honestly don’t even know what to say here. This appalls me at such a deep level that I find myself wordless in fury and grief. Spend hundreds of thousands of dollars to incarcerate the child who has become the man who cannot read. And heaven forbid we even the playing ground the least bit by making sure that every child gets a good education. Better spend the big bucks and build more cells to lock ’em up. The article cites such heart-breaking statistics about the levels of illiteracy in the prison system, and yet every year more and more students come through the schools, not having learned to read. I am not blaming teachers, parents, students, or anyone else, but we have to find a way to do this better. Let’s all read aloud to every child we can reach. If one method of teaching a child doesn’t work, try another. and another. What if each adult claimed a share of the responsibility to teach every child to read? I don’t know The Answer, but we have to do better than this.